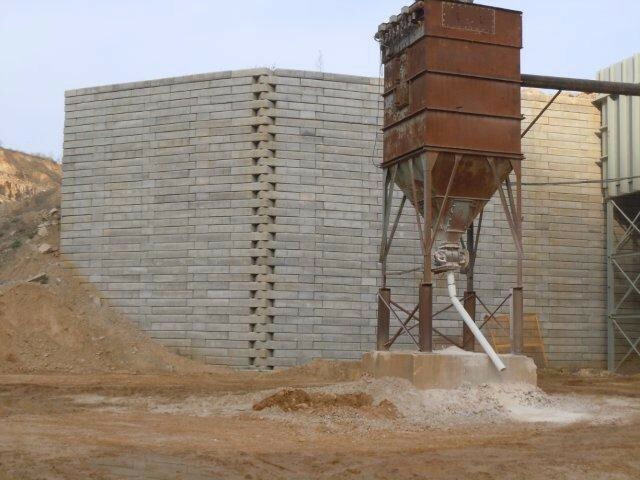 Solid concrete blocks stack up and last forever. 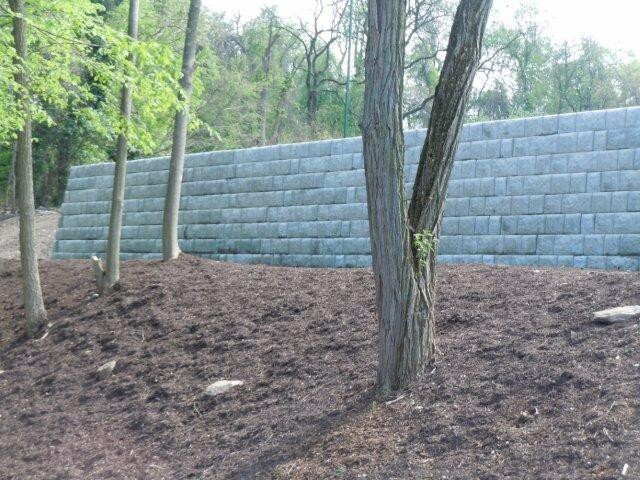 DuraHold is a robust system routinely used in areas likely to be submerged under quick flowing water with rapid drawdown. 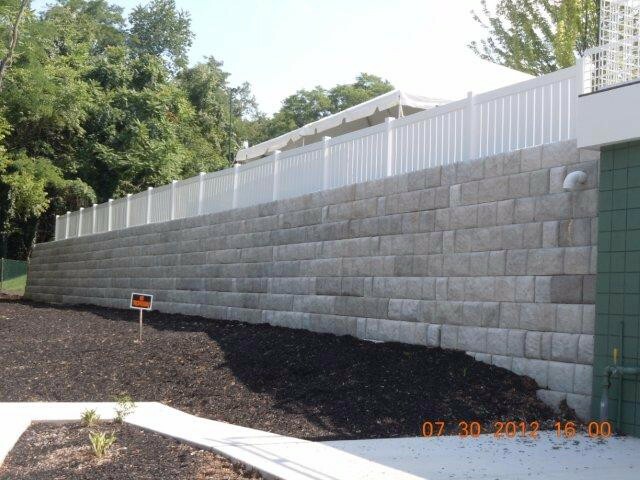 In one instance, it was installed by a Faddis customer at a Pennsylvania Department of Transportation (PennDOT) maintenance yard to replace a worn out railroad tie wall. 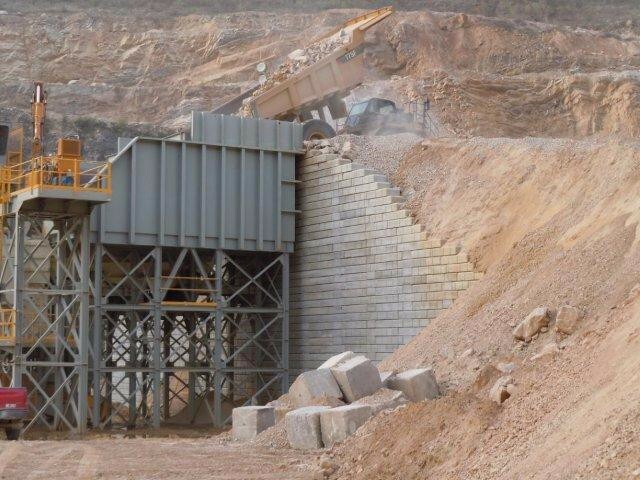 A blast barricade was then erected using Durahold II blocks with alternate courses reversed to construct a vertical face. 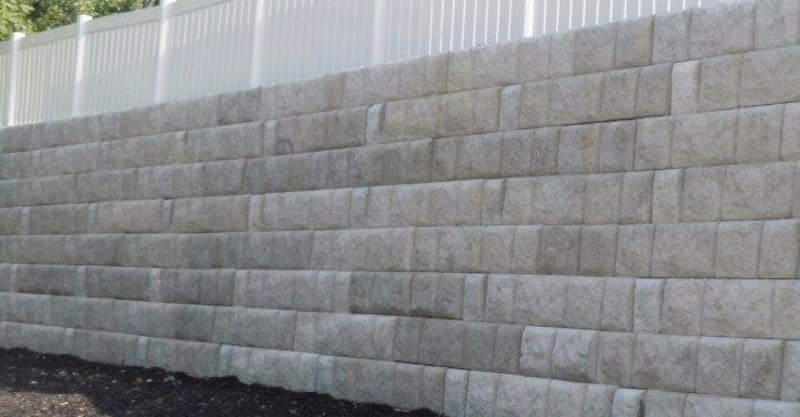 Each Durahold unit is 12 inches tall, 24 inches deep, and 72 inches long. 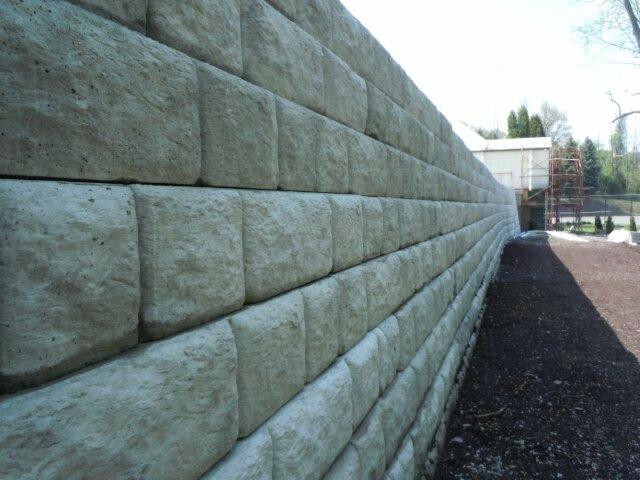 Durahold II is half the depth per block. 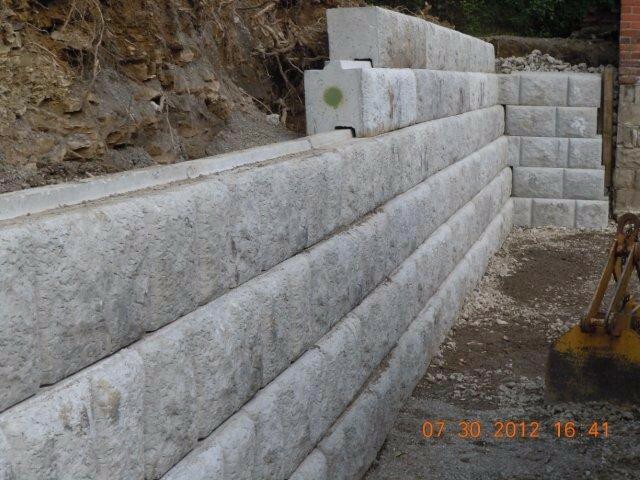 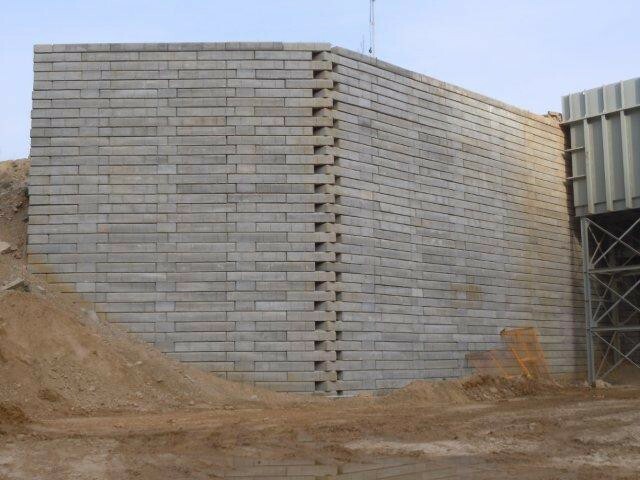 For low-height walls, it is a gravity system to be used where there is no space for a cribbed system. 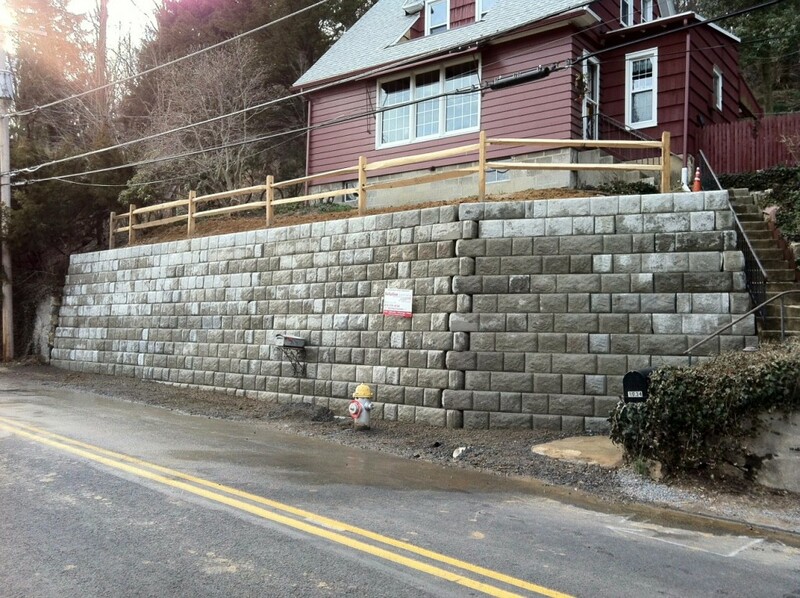 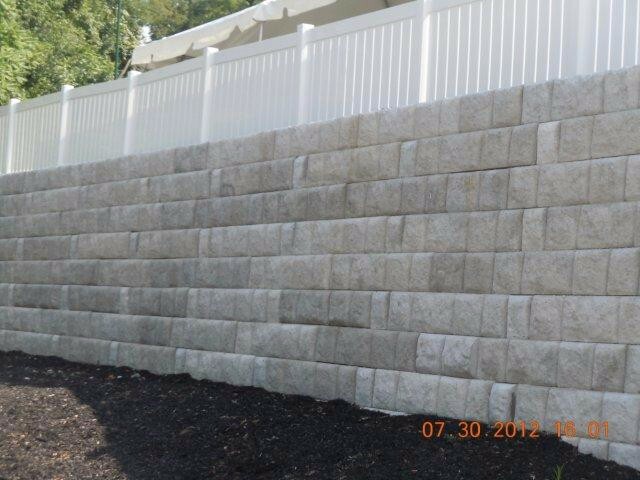 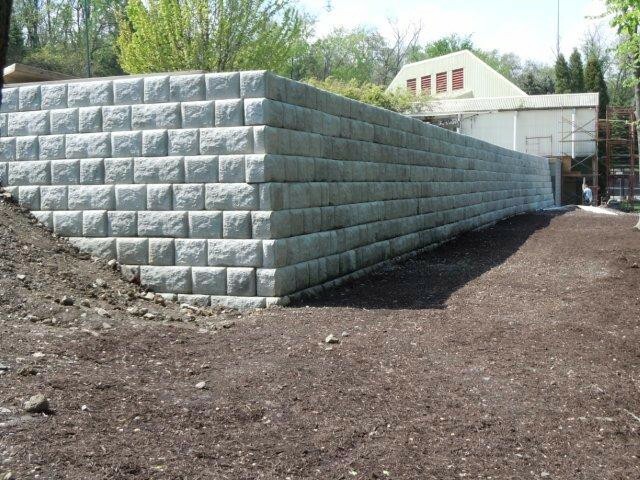 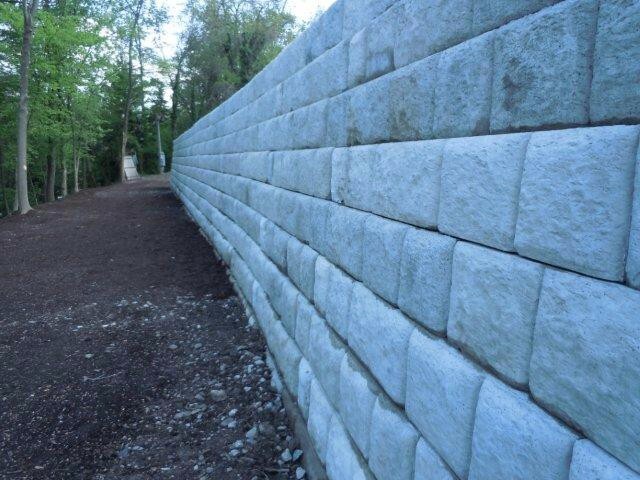 For taller walls, tie-back units either one or two deep create a crib that is backfilled with crushed stone resulting in a massive free draining construction. 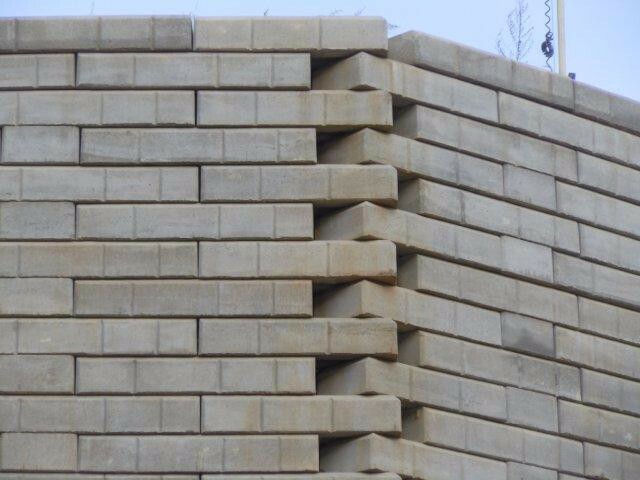 Highway Materials Quary, King Of Prussia, PA.